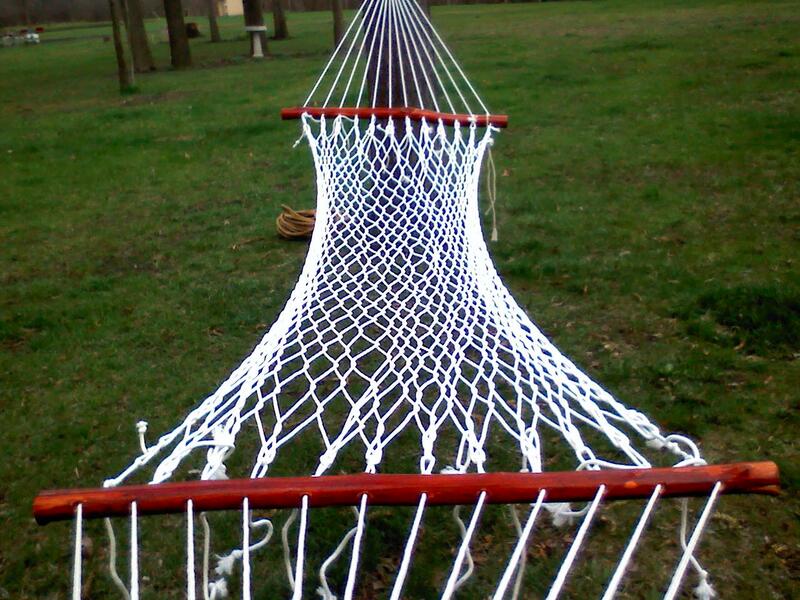 Could You Make Your Own Hammock?? 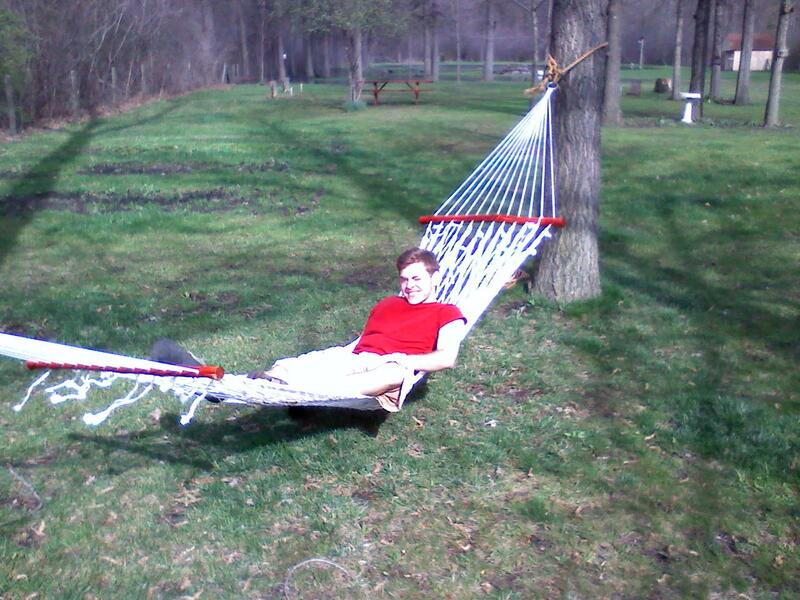 Back in March Riley Sproul, a medical student in Ohio, wrote to ask if we would help him make his own hammock. Ohio is a long way from Nova Scotia so we recommended the only book we are aware of that tells you how to weave and tie a hammock. The book is no longer in print but is occasionally available for sale as a used book on the internet. “It’s finally finished! 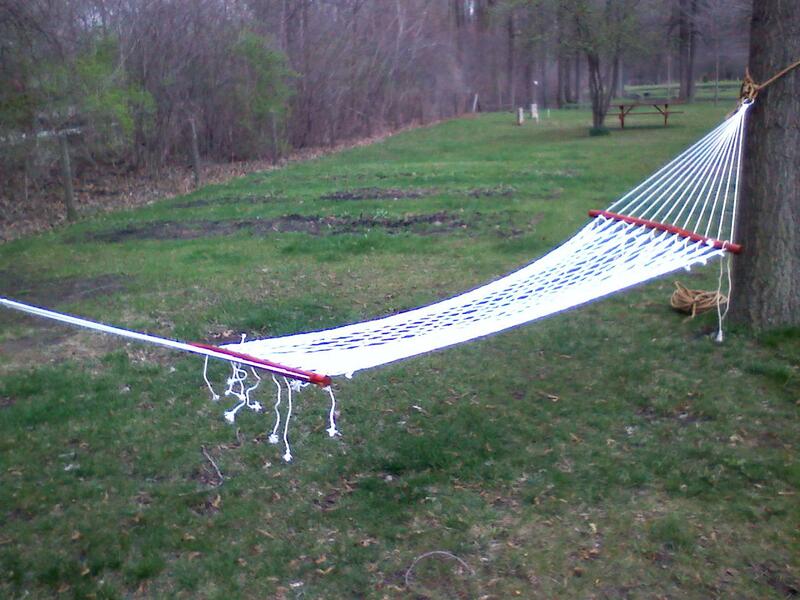 😀 The book you recommended worked like a charm and I completed the hammock a few days ago but just had the opportunity to put it up a few days back. In the picture it’s hanging pretty low to the ground, I tightened a few ropes and have hung it higher since then. I plan to make several more, some larger and possibly some themed. In the close up pictures you can get a good look at the spreaders and can see that they’re actually home made. I chopped down a few small trees from our forest and de-barked then treated them. Overall I’m very happy with the end product although it has it’s imperfections.